For many service men and women the day they return home is the happiest day of their lives, but what happens after the reunion is over? Military divorces have increased 42% since 2001 and it’s our goal to help strengthen the marriages of those who fight for us. Marriage is difficult, and it takes lots of time, effort and communication to keep it healthy. With the The Art of Marriage Ops blog app we all can help the men and women who have defended our country fight the war in their backyard! •Spread The Word! Do you or someone you love serve in the military? Help us spread to word and share the app on your Facebook or Twitter! Use hashtag #marriageops ! The more people who realize this is an issue, brings us one step closer to help solving the problem. • Donate! Text OPS to 80888 and donate $10.00 to help our men and women in the military strengthen their relationship by attending an event showcasing The Art of Marriage! Less than the price of two cups of coffee! • Five Date Ideas! It’s not just military men and women who need help with their relationships. Here are five great inspirational date ideas that will help bring you closer to your partner! Dance with Me: It’s time to get down. Whether it’s salsa, swing or ballroom, there’s more than one way to connect with your spouse on the dance floor. Find a local class near your home and take your relationship to a fun new level. 3 + 1 : Get ready for the road trip of your life. Revisit three of your favorite places where you’ve shared meaningful moments over the course of your relationship. Then, cap off the date by visiting one new place you have never been to but always wanted to go. Group Cookoff: Here’s your chance to team up with your spouse to test out your culinary chops. Take on your friends or a group of friends in the kitchen to see who the top chef really is. Into the Wild: Get ready for an adventure. Leave the comfort of your home and launch into the great wide open as you work together to set up camp or explore uncharted territory. There’s no better way to build on your teamwork skills while taking in the beauty of nature. The Interview: Go ahead and bust out the camera. You’re about to interview your loved one to learn new insights and make new discoveries. Take turns filming each other while answering meaningful questions in a fun way. 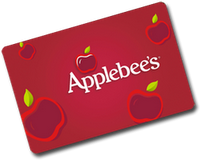 To celebrate the Art of Marriage Ops one Frugal & Fabulous reader will win a $20 Applebees gift card! 3. Subscribe to my blog via email or feedburner. You have until Thursday, March 15 @ 7pm EST to enter! (Winner must respond within 48 hours.) Giveaway open to U.S. residents only. GFC follower as June L.
I follow you on Twitter @Battle_Cry87. I follow on Twitter as smdrm. I like F&F on Facebook! I follow you on Google Friend Connect! Email subscriber! Thanks for the giveaway! I like Frugal & Fabulous on Facebook (FB name: Madeline Brubaker). I follow on google connect as "anash"
Like you on FB: Nancy D - - - - - - . I am new and am checking things out! I am a new fan on Facebook! PLease come see me at Give oh Giveaway! Liked you on FB as Judith B.
I am following your blog through Feedburner at awhartness@yahoo.com.